Perimeter is the distance around a shape. Circumference can be calculated as . Possible units of areas include millimeters squared ( ), centimeters squared ( ), meters squared ( ), kilometers squared ( ), and hectares. To solve for the area of this trapezium, . Surface area is the sum of the area of each individual face of an object. The volume is the amount of space occupied by a three-dimensional object, measured in cubic units (e.g. liters or meters). It is the amount of substance occupying a particular volume. A prism is a polyhedron with two polygonal faces lying in parallel planes and with other faces parallelograms. The most common prism is the rectangular prism (where a rectangle forms the base), of which the volume is . 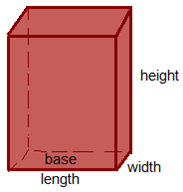 The triangular prism (with a triangle base), where the volume can be calculated as Volume = Area of base * Height = . 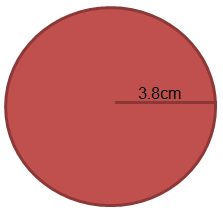 The cylinder (with a circle base), where the volume can be calculated as Volume = Area of base * Height, . A compass is a device which helps to determine directions by the means of a (or a group of) magnetic needles, which turn freely on a pivot, and point to the magnetic north. Going clockwise, north (N) is marked on the compass at the top, to the right is east (E), downwards is south (S) and to the left is west (W). You can remember this by “Never (N), Eat (E), Soggy (S), Weetbix (W)”.